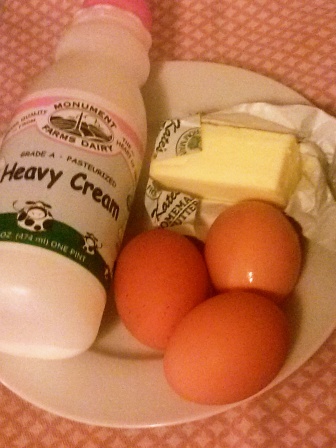 (Originally Posted 6/4/2014) Are these the ingredients to a traditional French dish? No . . . they are the bits leftover from the quarts of milk, pounds of butter and many cartons of eggs that go into a “simple” French recipe. I’ve never been very interested in French cuisine. Not for any particular reason, I realize that it’s wrong of me. So I recently opened up a copy of Larousse’s Traditional French Cooking and thought I’d try my hand at an egg recipe that appeared to be glorified deviled eggs. A recipe that, as it turned out, required 3 sauces, 5 hours cooking time, a quart of cream, a pound of butter, and poaching a whole fish to get the cooking liquid. Slice the eggs lengthwise and remove the yolks. In an appropriately sized pan, pour a thin layer of cream and lay the eggs on top. Cook the shallots and mushrooms in the sizable chunk of butter, seasoning with salt, pepper and thyme along the way until it’s to your taste. Add in the yolks, be sure to moosh them into the butter / juices so they end up sauce-y and not chunky (a dash of white wine may be in order if you need more liquid). Heap the mushroom mixture on top of the eggs. 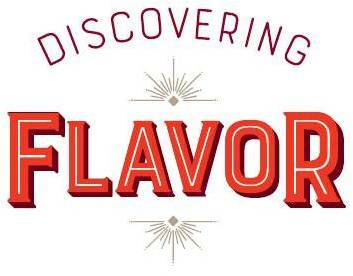 You’ll have much more than a traditional deviled egg filling, so this will get messy. The thing about this dish is that it tasted awesome. But looked like an awful gray mess, hence no picture. So I rallied around the idea of French cooking but not classical French cooking. 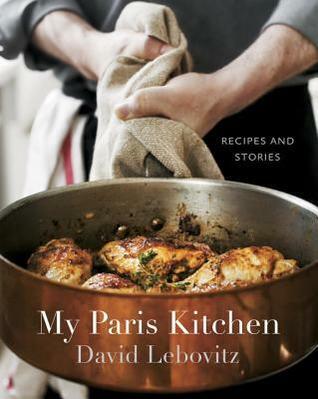 Here entered the new cookbook by David Lebovitz My Paris Kitchen. I acquired this cookbook not for the recipes but because he promised to tell good tales about modern French food and attitudes towards food via his own experiences. It’s my new favorite thing, a cookbook you read like a regular book. Turns out – I should have bought it for the recipes, too. Here is the menu I put together, with my notes. 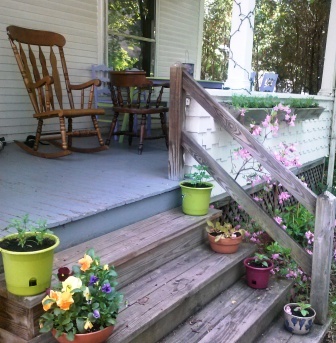 It tasted truly outstanding, especially as our first porch-based dinner party of the year. Chocolate Terrine with Fresh Ginger Creme Anglaise, plus Raspberry Sorbet and Orange Blossom Water Macaroons (those last two are not in the book, as I was cooking they seemed like a good addition). ← In Plain Sight. . .